Welcome to the Dimethyl Sulfoxide (DMSO) information center. Select one of the links above for additional information about this versatile treatment option. 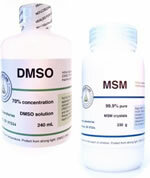 Ultra Pure DMSO & MSM can be ordered directly from Dr. Jacob's Laboratory. Contact Dr. Jacob's son, Jeff, www.jacoblab.com. Jeff has worked side by side with Dr. Jacob over the last two decades in the production of DMSO & MSM formulations. 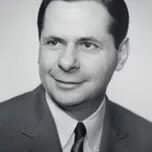 As many of you know, we have been involved with DMSO research for almost a half a century. new articles of the most important research findings every 2 weeks. Please check back often for the new postings. The radioprotective effects of dimethyl sulfoxide (DMSO) have been known for many years, and the suppression of hydroxyl (OH) radicals induced by ionizing radiation has been thought to be the main cause of this effect. However, the DMSO concentration used was very high, and might be toxic, in earlier studies. In the present study, we administered a lower, non-toxic concentration (0.5%, i.e., 64 mM) of DMSO before irradiation and examined its radioprotective effects. Background: The most deadly form of cancer is not lung or colon, breast or prostate; it is any cancer that has become metastatic. Mortality due to metastatic melanoma, one of the most aggressive and deadly cancers, has increased steadily over the last several decades. Unfortunately, the arsenal of chemotherapeutic agents available today is most often unsuccessful at extending and improving the life expectancy of afflicted individuals. We sought to identify an effective and nontoxic agent against metastatic melanoma.